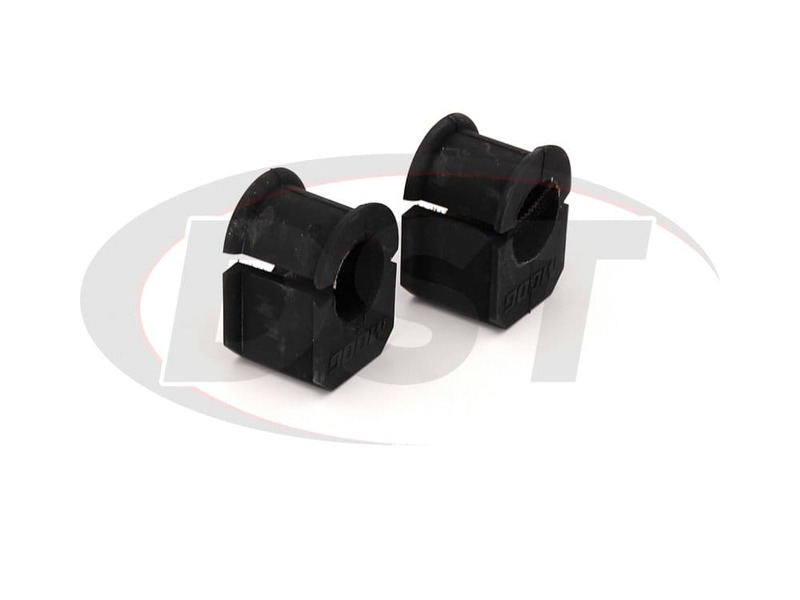 These 30.16mm (1.19in) Front Sway Bar Bushings fit several years models of the Bronco II, E-150, E-250, and E-350 Econoline's and the F-250, F-350, plus others. 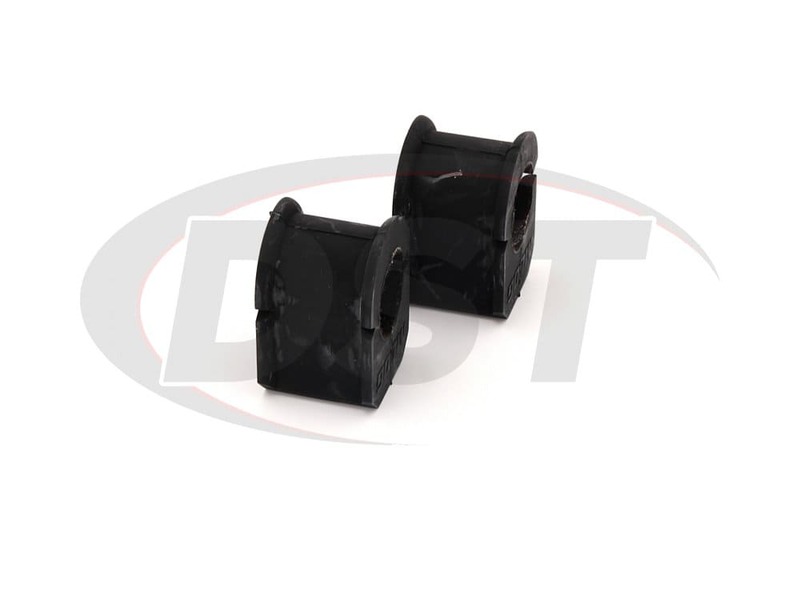 The PTFE synthetic fabric lined inner diameter of these front sway bar bushings will provide a longer lasting replacement than original equipment (OE) sway bar bushings. 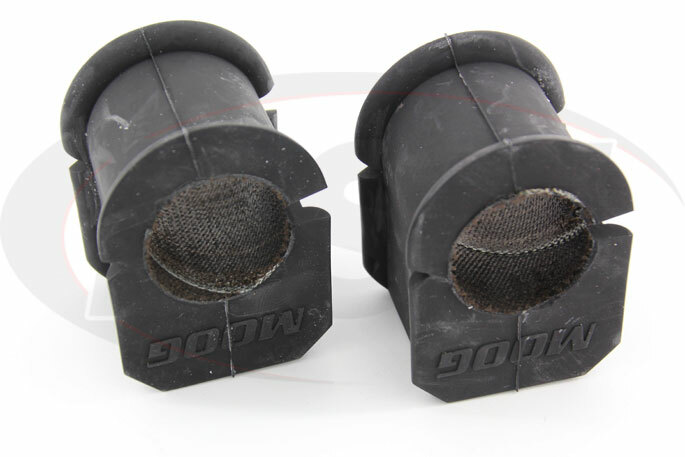 They also eliminate the squeaking that comes with age and wear, are easily installed, and provides a stable grip on your sway bar. 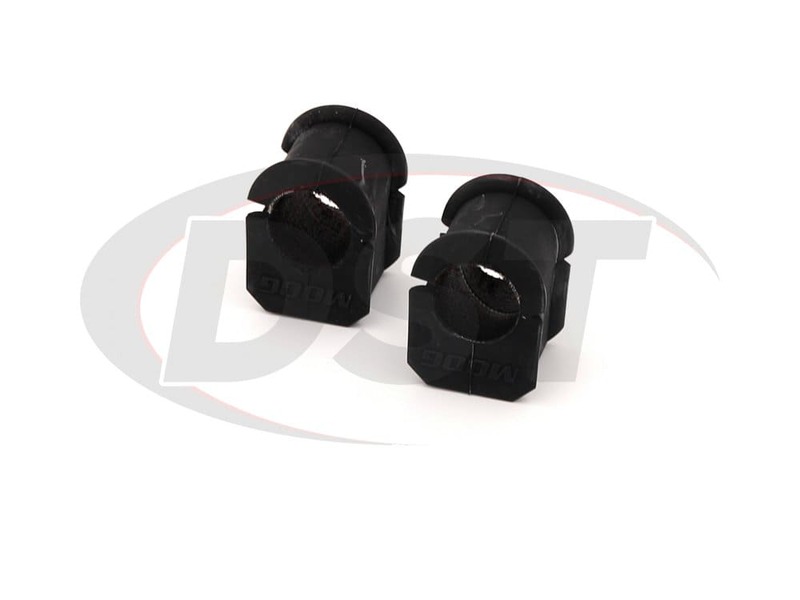 The front sway bar connects the driver and passenger side wheels of your Ford and tries to keep the wheels level with each other during a hard turn. 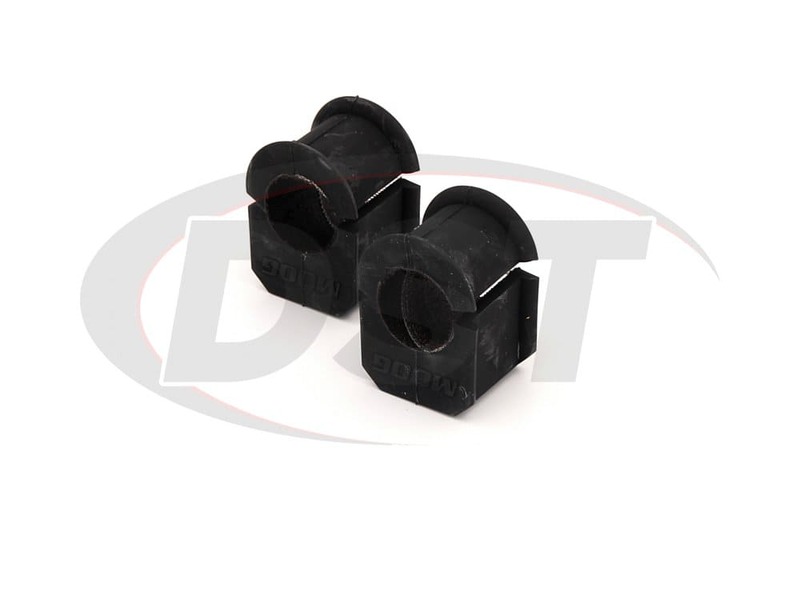 Like most OE bushings those on your truck or van are made of rubber since it absorbs vibrations and is cheap to make. 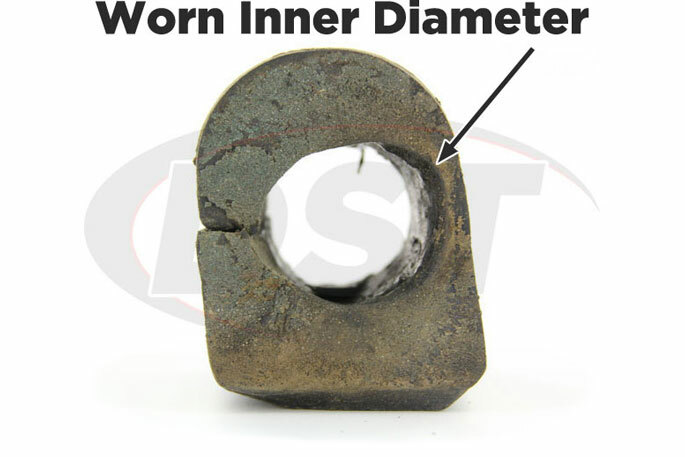 The downside is that the friction between the front sway bar and the rubber inner diameter of the front sway bar bushings will begin to wear the bushing down, causing gaping and allowing the sway bar to move around causing squeaking and an increase in body roll during a turn. 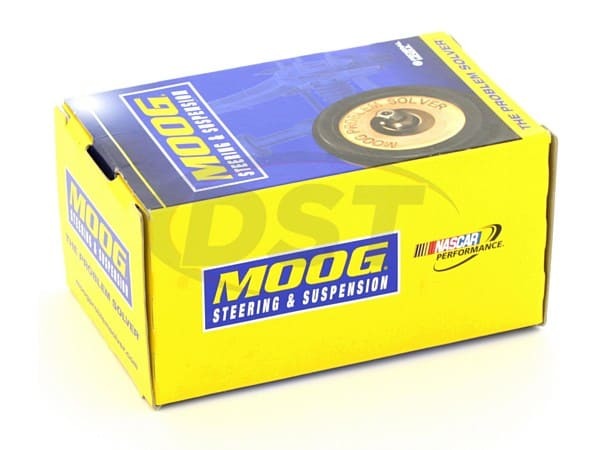 If you're hauling something on a winding backroad like those around Suspension.com headquarters then you want your Ford as level as possible during a turn. 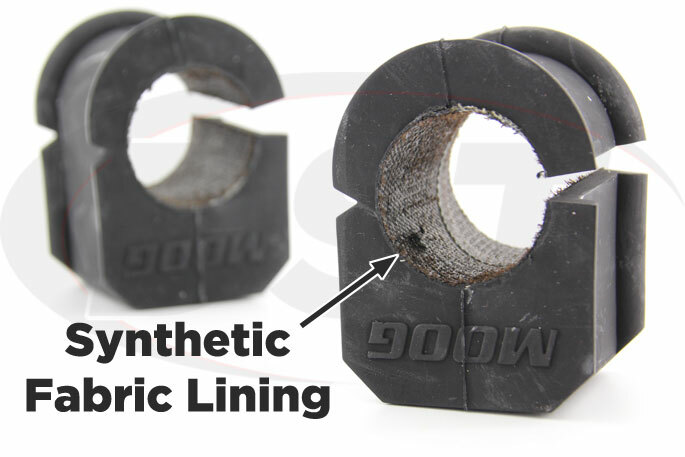 If you're already noticing some squeaking from the front sway bar area then you can check for a gap between the bar and the bushings. 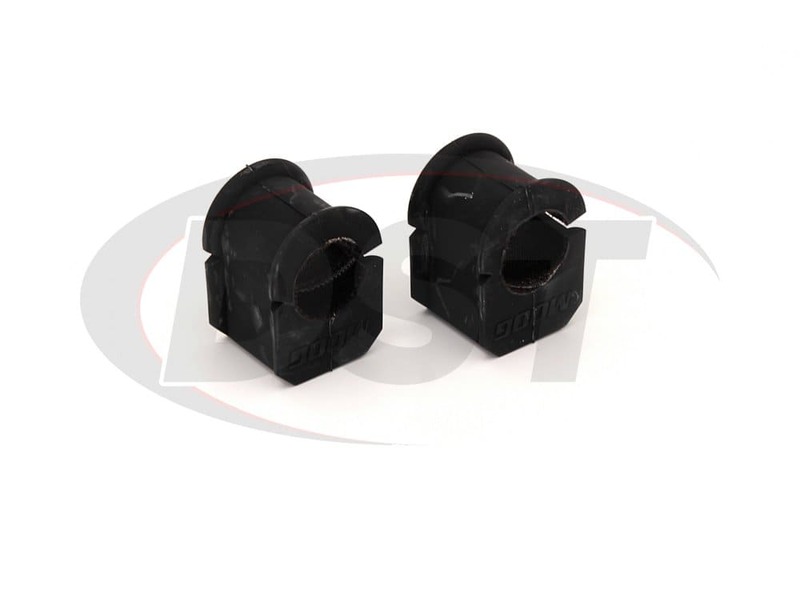 If a gap exists then the sway bar is not only free to move up and down, but slide through the hollowed out sway bar bushings, which will increase your body roll. The solution to this problem is a tougher material on the inner diameter that can handle bouncy Texas pasture driving or the constant turning of Dallas city blocks. 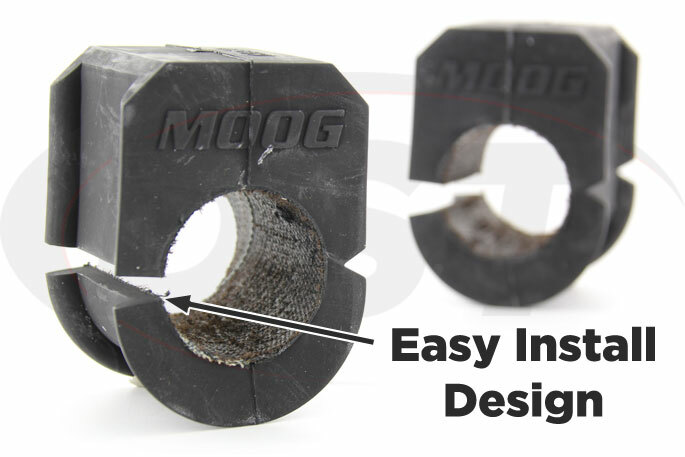 Moog has manufactured just such a solution to easily worn sway bar bushings with their 30.16mm front sway bar bushings with PTFE synthetic fabric lining.